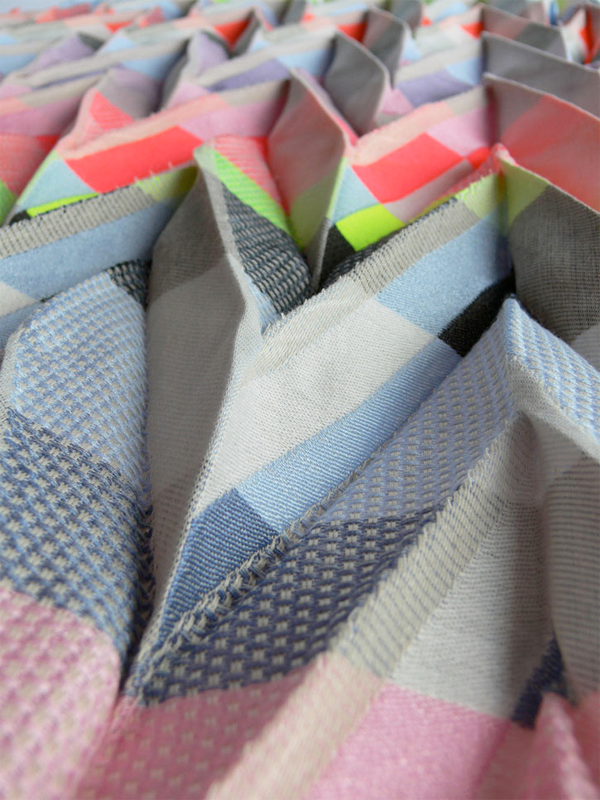 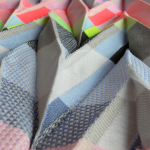 DesignApplause | Angharad mclaren textiles. 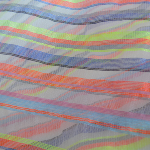 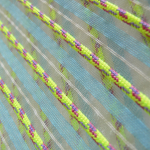 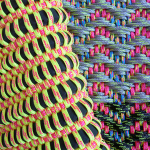 Daring bright colors and contemporary designs are key essentials of Angharad McLaren’s woven textiles. 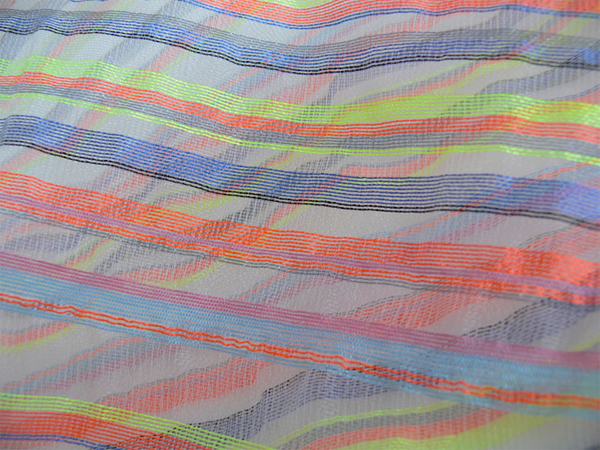 Inspired by a dynamic mix of human and natural influences McLaren’s latest Shibori Pleat collection is influenced by water sport activities such as sailing and windsurfing. 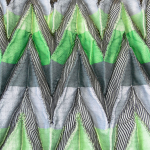 Her passion for the sea and water-sports visually inspired McLaren to create a collection which features Dobby and Jacquard designs which are ideal for indoor and outdoor applications such as blinds, screens, wall panels, floor mats and furnishings. 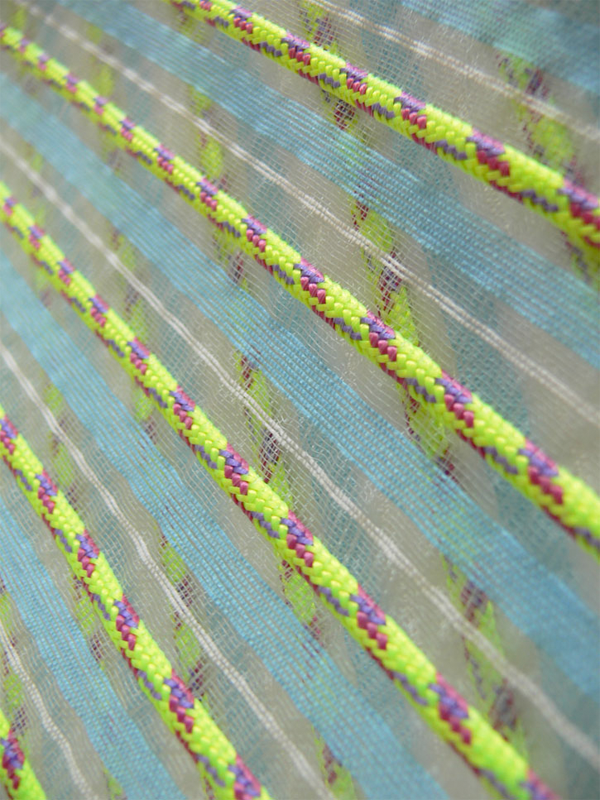 Her textiles are created using traditional techniques which are updated using the latest computerized hand-weaving and industrial technology. 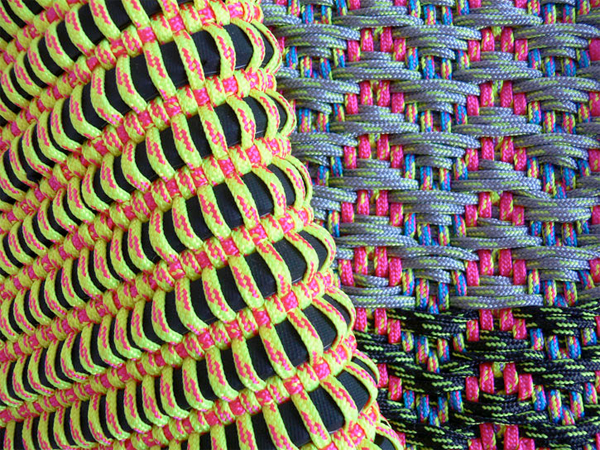 Materials range from organic natural fibers to neoprene to performance textiles such as recycled ropes which are appropriate for climbing. 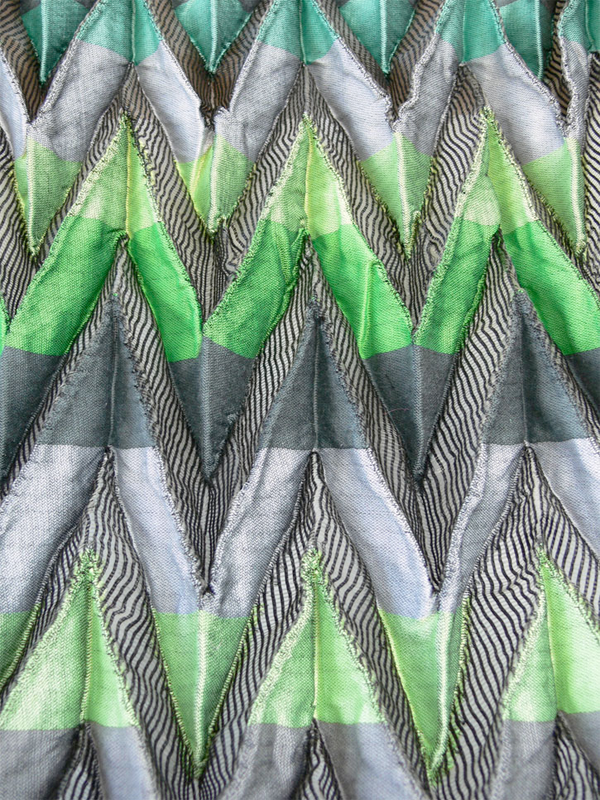 While recycling and being super eco-friendly McLaren has an ethical production method of repurposing existing materials into new woven patterns.